India is poised to contend with China as the globe’s top consumer of coal, with 455 power plants preparing to come online, a prominent environmental research group has concluded. The coal plants in India’s pipeline — almost 100 more than China is preparing to build — would deliver 519,396 megawatts of installed generating capacity. That is only slightly less than pending new capacity in China, which remains the undisputed king of coal consumption. The data from the World Resources Institute (WRI), not released publicly but obtained by ClimateWire, paint a picture of a global energy trajectory in which coal remains a dominant actor, despite concerns about rising costs and environmental groups’ trumpeting of the reduced costs of renewable energy. The research found 1,231 new coal plants with a total installed capacity of more than 1.4 million MW proposed worldwide. Beyond the biggest users — China, India and the United States — the assessment finds a heavy coal demand building up in Russia, Vietnam, Turkey and South Africa. The United States, with 79 coal plants in the pipeline, ranks fourth in this category. Environmentalists called the numbers alarming, but coal industry leaders said the plants are not enough to meet the world’s energy needs. “We need more. We need more of everything — wind power, renewables, hydro. But we will certainly need more coal,” said Milton Catelin, CEO of the World Coal Association. He argued that with 1.5 billion people still living without access to electricity, coal needs to grow. The WRI assessment appears to be the most exhaustive compilation to date of coal plants in the global pipeline, along with robust analyses of the export landscape and financing trend. 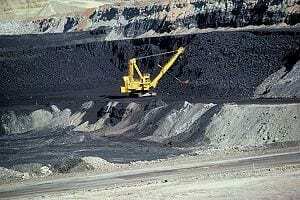 Catelin, who said he had seen the estimates and found them accurate, said the industry association does not keep its own central data of global coal production plans.